ACCOMMODATION: 3 or 4 star hotel HB , 2 night in Tirana, 2 nights in Berat, 2 nights in Saranda, 1 night in Pëmet, 2 nights in Ohrid, 1 night in Skopje, 1 night in Peja, 1 night in Budva, 1 night in Shkodër, so in total 13 nights HB . TRANSPORT: 14 days by minibus. ASSISTANCE: by our agency during all days of stay in the region. Upon arrival in Albania we explore Tirana and the interesting architecture of the center. Know more about it’s rich history and enjoy to local culinary of Marikaj village agritourist center. Guided visit in Durrës founded in 6 century BC and the Roman Amphitheatre as one of the biggest in Balkans. Visit Berat, the city of one upon another windows part of UNESCO Heritage List. Guided visit in Vlora the city of Independence. Lunch in Llogara N.P where we can enjoy Albanian traditional music as well. 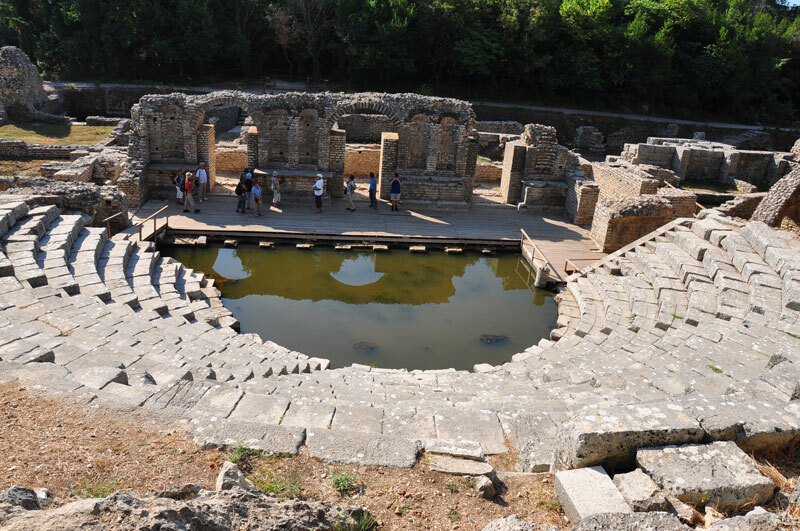 Guided visit in Butrint archeological center and free time to relax on the beach. Half day visit to Gjirokastra enlisted as World Heritage site by UNESCO. In the afternoon we travel to Përmet where we taste Albanian traditional dishes. Today we travel to Ohrid via Greece where we will have lunch as well. Ohrid is one of the oldest cities of the Balkans, an important center of the Episcopal Church of Rome and Byzantium. Lunch in Saint Naum where we visit the monastery and the church as well. Drive to the city of Skopje. On our way will visit Tetovo, an important center of the Bektashi Sect “Arabati Teke”. In the afternoon we tour the city of Skopje, the old bazaar, memorial of Mother Theresa, Aleksander the Great square. Travel to Kosovo and visit Prizren a beautiful preservation of religious and cultural sites. Then travel to Gjakova and visit Ottoman bazaar. Lunch in a traditional restaurant in Gjakova. Arrive in Deçan and visit the Serbian Orthodox Monastery part of UNESCO.Accommodation in Peja. 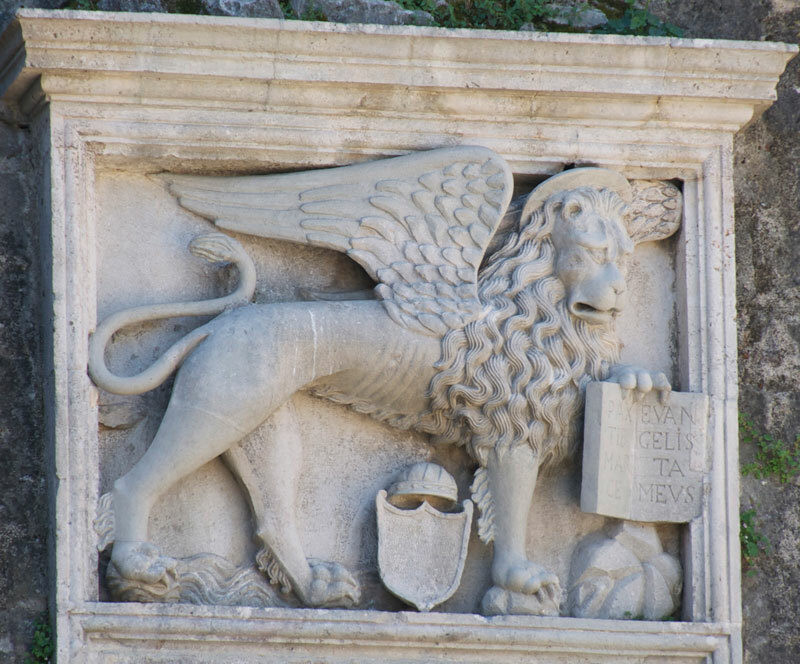 Travel to Montenegro and visit Kotor enlisted in UNESCO. Visit Podgorica the capital of Montenegro and Cetinje the Royal capital. Accommodation in the coastal city of Budva. Visit the castle of Budva and old town. Travel to Albania and visit the city of Shkodra on of the most important Albanian cities. Breakfast in Shkodra. Visit the castle of Rozafa 4 century BC. Transfer to Mother Theresa Airport. Departure.